HOPE – The Hope School Board had a full plate of business Oct. 15 as it addressed operations needs, formal regulatory filings and bid awards. Hope Superintendent Dr. Bobby Hart gave the board a quick review of conversations with Arkansas Department of Education officials about maintaining necessary annual budget balances. He said ADE officials expressed little concern about the ability of the district to maintain its finances, as opposed to districts such as Pine Bluff, where the ADE has taken control of the district because of precipitously declining finances. “On a scale of one to ten, their concerns were about a three,” Hart said. He said some of the situation will be resolved through increased retirement attrition at the faculty level, noting that nine faculty members had retired each year within the past five years. 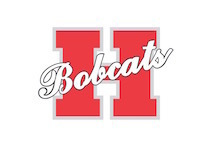 Hart gave a shout out to the Hope High School athletics program, noting the improvement of the HHS football program, and the recent victory by the HHS girls’ cross country team. He congratulated HHS Bands Director Julie Gladden and the bands program for its first-ever marching invitational contest. --Approved a renewed fire suppression systems contract with Sourcewell for $24,844. --Agreed to contract with Reliance Mechanical Contractors for a “repair or replace” option contract for the boiler system at Clinton Primary School. --Accepted a $2,611 bid for salvage purchase of a 2007 model school bus from Total Truck and Equipment Co.
--Appointed District 8 Representative David “Bubba” Powers as legislative session liaison for 2019. --Reviewed the annual federal statement of assurances regarding course offering standards. --Adopted an annual statement of educational methodology for federal programs. --Adopted a formal statement of curriculum. --Adopted an Act 1120 resolution regarding payroll reconciliation. --Approved a salary schedule stipend listing for ABC Preschool director. --Employed a replacement bus driver. --Set an Oct. 24 expulsion hearing date.